GlaxoSmithKline’s new CEO Emma Walmsley is set to outline her vision for the company alongside half-year results next month – but reports suggest that she may shake up the consumer products division she used to manage. Citing sources close to the company, Reuters reported that Walmsley is considering divesting the MaxiNutrition sports nutrition brand. Bought by GSK under the leadership of Walmsley’s predecessor, Sir Andrew Witty, the business makes protein bars, drinks and powders and is best known for its Maximuscle products for weight training. GSK has already sold off its Lucozade sports drinks brand that the acquisition complemented, and Reuters noted that the sale would not make a significant impact on a drugs giant with a market value of around £85 billion. The company has refused to comment on the reports, but if Walmsley goes ahead with the sale, it indicates she is prepared to reverse decisions made by previous management. Walmsley used to run the company’s consumer products division, but her focus has inevitably shifted towards the prescription medicines business. This is by far the biggest revenue generator, bringing in £16.1 billion ($20.5 bn) in 2016, compared to the £7.2 billion from the consumer division and £4.6 billion from vaccines – and with profits five times higher than the two other divisions. Walmsley has already suggested that she favours finding more blockbusters – but hasn’t set out how this might be achieved. Searching for “fewer and more focused priorities, to have bigger launches,” will be a priority according to Walmsley, who worked in marketing and management at L’Oreal for 17 years before joining GSK. 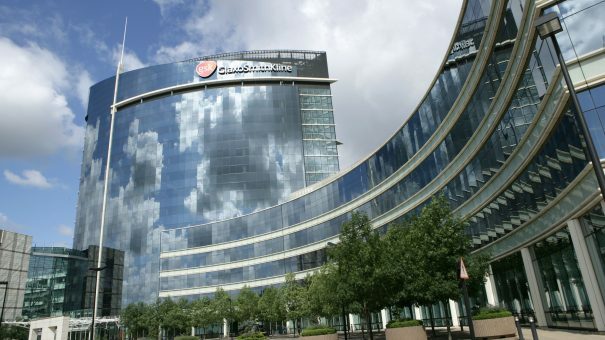 Earlier this week, GSK finally landed its new head of pharmaceuticals, Luke Miels, who will take his new role in September after settling a contract squabble with former employer AstraZeneca. Miels’ appointment was Walmsley’s first significant move, and is seen as a coup as the company searches for new medicines to replace sales from ageing respiratory drug, Advair/Seretide. Advair is on borrowed time – with no patent protection in the US, generic competitors are getting closer to the market. The FDA this year rejected generics from Mylan and Hikma, but Sandoz has just filed its version of Advair with regulator, which if approved could quickly end Advair’s blockbuster status.